We Have NO DEALER or DOC FEE!!! 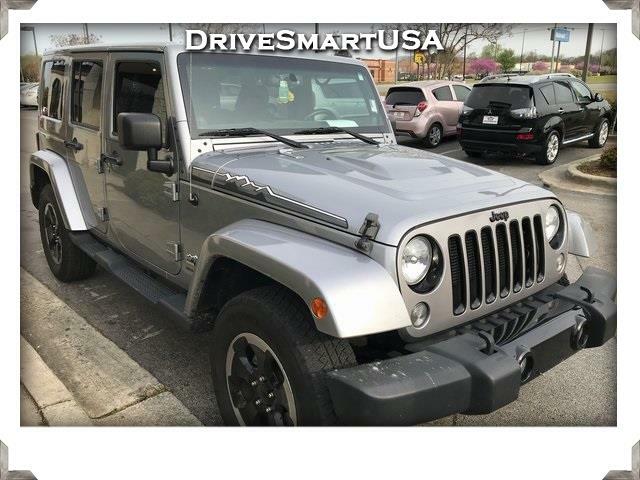 Wrangler Unlimited Sahara, 4D Sport Utility, 3.6L V6 24V VVT, 5-Speed Automatic, 4WD, Billet Metallic Clearcoat, Leather Bucket Seats, ABS brakes, Alloy wheels, Compass, Electronic Stability Control, Heated door mirrors, Illuminated entry, Low tire pressure warning, Remote keyless entry, Traction control. New Price!